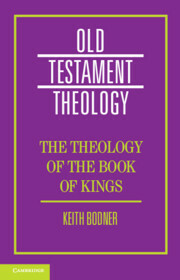 This series aims to remedy the deficiency of available published material on the theological concerns of the Old Testament books. Here, specialists explore the theological richness of a given book at greater length than is usually possible in the introductions to commentaries or as part of other Old Testament theologies. They are also able to investigate the theological themes and issues of their chosen books without being tied to a commentary format or to a thematic structure provided from elsewhere. When complete, the series will cover all the Old Testament writings and will thus provide an attractive and timely range of short texts around which courses can be developed.